warming. The Great Lakes Radio Consortium’s Chris McCarus reports. 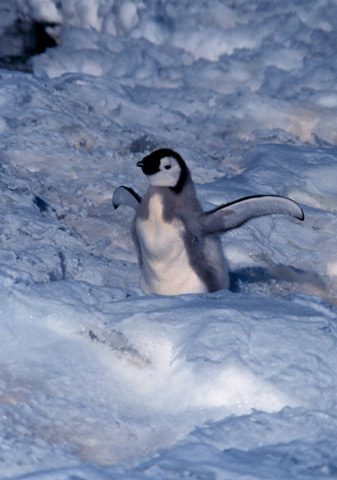 The film March of the Penguins shows the birds at their cutest. Emperor penguins cradle their babies between their legs. They slide on their bellies on the ice. And they seem to kiss like people. Joe Hawkey is a seventeen-year-old who saw a screening of the movie. He says our energy consumption is endangering penguins and other Antarctic wildlife. But, he says, it’s clear to him that people can do things to help. The March of the Penguins film is based more on emotions than facts. But this approach might also have more impact on the audience. For the GLRC, I’m Chris McCarus. Next PostNext Is Endangered Species Act Endangered?